The Dealer Business License Tax (or Dealer License Tax) is a tax imposed by the local government on the gross receipts of the business. The tax rate varies based on the category of the business. 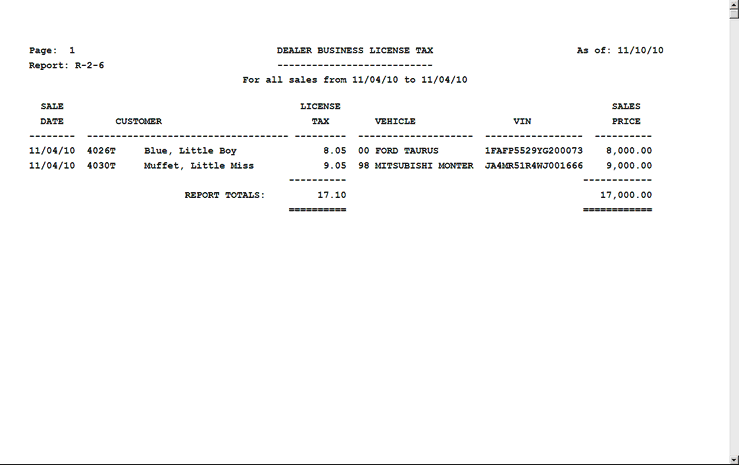 In Frazer, the Dealer License Tax is calculated on: Vehicle Selling Price - Trade + Doc Fee. 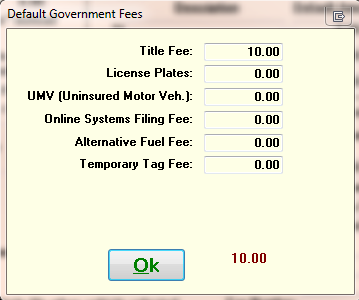 To set the rate for the Dealer License Tax, go to Miscellaneous >> 1 - System Options >> 3 - Taxes. Enter the tax rate as provided by the local district, making sure to remove the two zeroes directly after the decimal point (i.e. 0.00100000 should be entered as 0.10000000). 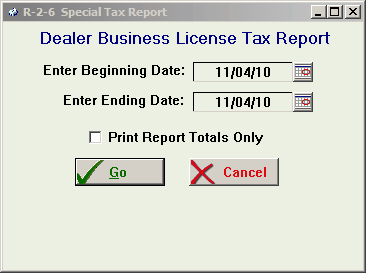 To obtain report showing the amount of Business License Tax owed, go to Reports >> 2 - Sales Reporting >> 6 - Dealer License Tax Report. Enter the desired date range. 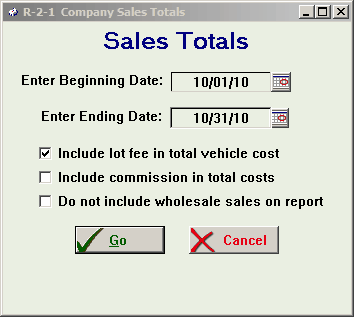 To see total amounts only, check the box to "Print Report Totals Only". 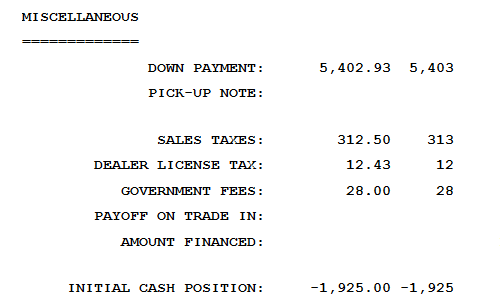 The Dealer License Tax also appears in the Miscellaneous section of the Company Sales Total report, found by going to Reports >> 2 - Sales Reporting >> 1 - Sales Totals.